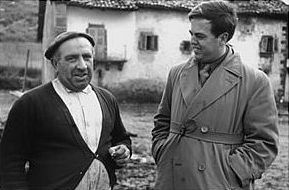 In an interesting blog Dutch musicologist Evert Bisschop Boele wonders about a not by name mentioned ‘dutchie’ in John Szwed’s biography of ethnomusicologist Alan Lomax. It concerns a person from The Netherlands who was travelling with the famous American songhunter to Spain in a period “just after the war”. The exact date isn’t mentioned, but I presume “just after the war” means 1952 or 1953, being the years when Lomax visited Spain and recorded there. I didn’t know about a Dutch person travelling to Spain with Lomax at the time. Very interesting! After concluding it wasn’t and couldn’t have been Jaap Kunst (1891-1960) Bisschop Boele ends his blog asking “Who is he? Who?” Well, I’d like to give it a shot. I think the person involved here might be Bernard IJzerdraat (1926-1986). In fact, I can’t think of anyone else. Let me try to explain this. 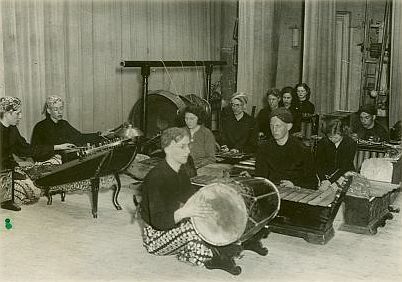 In the early fifties Bernard IJzerdraat was in his twenties and a well known figure in the Dutch gamelan scene. His group Babar Layar was very popular in Holland. The group played Javanese gamelan music for radio and television, recorded an LP on the Philips label and toured succesfully throughout Europe. In his writings Lomax refers only twice briefly to his companion, first as “a young man who specialized in Javanese gamelan music” and then he writes: “I did not know that my Dutch travelling companion was the son of the man who had headed the underground in Holland during the German occupation.” This quote immediately reminds me of Bernard IJzerdraat’s father, Bernardus IJzerdraat (1891-1941). 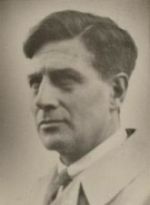 In the early stages of World War II Bernardus IJzerdraat was one of Holland’s prominent figures of the Dutch resistance. He’s known as the founder of De Geuzen, the first Dutch resistance group. He was arrested and shot by the Germans in 1941, together with 17 others, including three Communists involved in the February Strike. Knowing these facts and reading what Lomax says about his young Dutch fellow traveller without revealing a name, I think the unknown ‘dutchie’ could be Bernard IJzerdraat, gamelan specialist and son of a war hero. So far my educated guess. I might be wrong here of course. Anyone else having thougths on this? If so, please let me know.